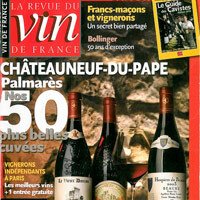 6 and 7 May , 9 producers of Châteauneuf -du -Pape and Tavel moved to Oslo to promote their wines. Dinner release in presence of 10 Swedish journalists gave pride to old vintages of Chateauneuf -du -Pape red. On Wednesday, the morning began with a seminar on the 2010 vintage led by Liora Levi , Best Sommelier of the Nordic countries in 2013 . After a quick snack in the historic site Posthallen , professionals ( importers, buyers monopoly , sommeliers and journalists) could enjoy wines of the winemakers present , plus six domains that were not there but were served and represented by the Federation of producers. Before ending this day from 17:00 to 19:00 , members of the Oslo tasting clubs, had the chance to taste the wines and share with the wine growers. A beautiful moment of interaction with professionals and amateurs !